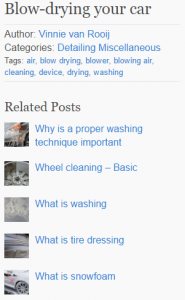 DetailingWiki is filled with several articles, these articles need to be easy to find. That is why we implemented several different ways to search in DetailingWiki. We keep working on ways to make navigating the site more easy for our visitors. If you have a tip, please let us know via the contact page. We all know Google. It literally changed the way we use the internet. The option to search through the millions of website on the net has made navigating through the internet a lot easier. DetailingWiki is smaller, but similar. We don’t have millions of pages, but much more then you want to scroll past one-by-one. So trying to find that one piece of information you are looking for can be difficult. That is why it is very important to have a good functioning search option. We monitor the search request a few times a week. So we can actually see what is being searched for. This helps us to know what articles you are looking for. Among other, one option is to search directly via the website itself. This can be done in 2 ways. When you go to the homepage of DetailingWiki, you’ll be greeted with a very simple page. You see our logo and underneath it the searchform. Underneath the searchform you’ll find a few links to the most common pages. You can enter your searchterm here, or use one of the links to navigate through the website and find what you are looking for. When entering a searchterm you can then either click on one of the items that appear in the list underneath or press enter to see the full list of results. DetailingWiki is a fast growing database, if you can’t find an article, you can always request one via the contact page, or wait a few days and try your search again. On every page on DetailingWiki, you’ll see the searchbar at the top of the page. This can be used in the same way as the searchform on the home page. Just type in what you are looking for. You can then either click on one of the items that appear in the list underneath or press enter to see the full list of results. The search term you have been using is marked orange in the short descriptive text of the article. When you click on a certain article, that search term is being remembered and that term will still show orange inside the text. If you use any of the links on that page to go to another article/page, the search term will be forgotten and nothing will be marked anymore. Besides the search functions, there are also several other ways to navigate through the website. Every article has a title, and that title is used to determine what words should link to that article. For example, the word: “wax” will link to the page: What is wax. Every article has one or more specific term(s) that will create a link to that article when that term is used in the text. Just like the internal links on Wikipedia. We work hard to make sure that every link goes to the right page, but this can be tricky. If we have 5 pages that are about wax, there can be only one that can be linked to. There is a sidebar on the left and on the right. The left is for navigating to the most important pages, and the right changes according to the content of the page. It will show various information such as recent articles, categories and several more. 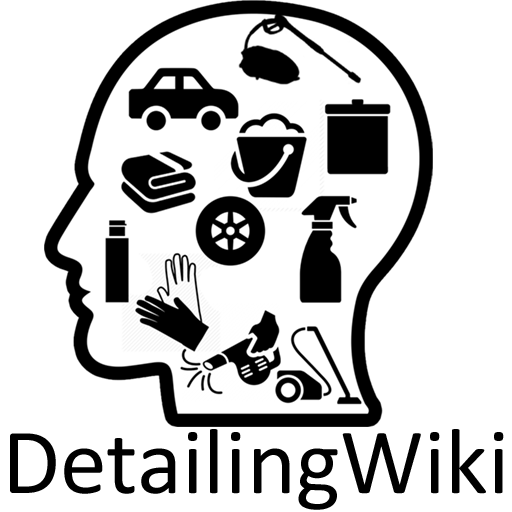 The list with recent articles is a list with the articles that have been published recently. It starts with the newest one on the top. When you are on an article page, you will see the name of the author in the sidebar. You can click on this name to go to his/her page. Here you will find a little bit of information about that person and also a small list of his articles. Tags are very short terms that relate to the subject of the article. These tags make it possible to link articles together. 2 Articles with the same tag will be considered related, and can be found if you search on that tag. When using the searchbar on the top, tags are also taken into account te determine what results should be shown. You can also just click on one of the tags in the sidebar to find articles with the same tag. This list is created on the basis of the words of the article, the title and the tags. This small piece of the website shows 6 links to articles that are relevant to the one you are visiting. Another option is the fancy Google Site Search. This is a special function of Google that allows any user to combine the power of Google with the contents of a certain website. This works really simply, when you enter a searchterm in the URL bar of your browser, just start the searchterm with “detailingwiki.org” and follow with the searchterm. 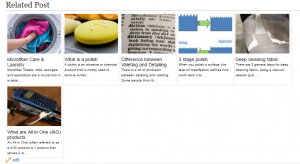 For example, if you are searching for polish, you would enter “detailingwiki.org polish”. 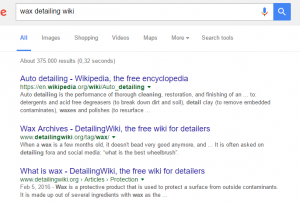 The result will aim the contents of detailingwiki.org, unless there is no result to show, then Google also looks at other searchresults. If you use Google Chrome, the browser will actually redirect you directly the the website itself and bypasses the Google results itself. Which is easier and quicker. Google is the biggest (and most important?) search engine today. It is used daily by millions of people all around the world. We obviously have did our best to make sure Google likes us, and knows where to find us. So we work hard every day to add search terms, optimize content and make sure that Google understands when to show our articles in a search result. However, since we are very young in the eyes of Google. 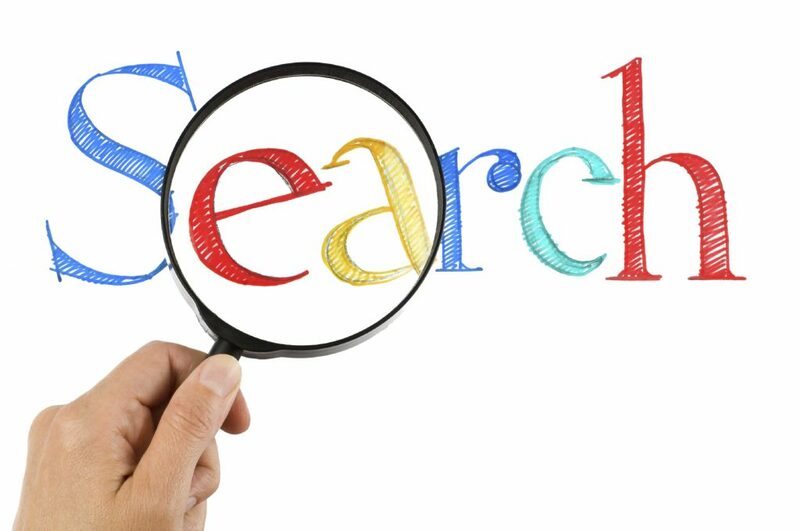 You can use a little trick to aim more towards us in your searching. Try to end your searchterm with “detailing wiki”. For example if you want to know what a sealant is, you can search for “What is a sealant detailing wiki”. 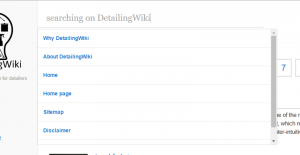 It will aim the search results at DetailingWiki, but will also show other results.